A breakthrough on the horizon for the Finucanes? ONE of Northern Ireland’s most controversial murder cases moves into a critical phase over the next few days with top-level talks which will determine how far the government is prepared to go in exposing its own involvement in the killing. 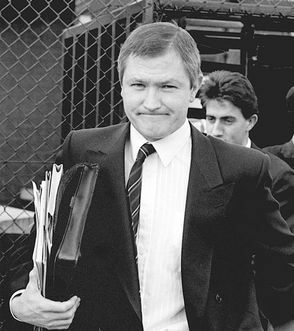 The family of Pat Finucane meet the Prime Minister David Cameron on Tuesday to discuss how an inquiry into the 1989 shooting would be held; how independent its chairman would be and what powers he/she would have to compel evidence from all state agencies. It is understood the deadlock which has prevented the establishment of an inquiry for the past seven years – the framework of the 2005 Inquiries Act, which allows the government to withhold evidence – could be broken if the government guarantees the independence and full powers of compulsion for the chair – the model which was applied in the recent inquiry into the death of Baha Mousa. Today (Friday) Mr Finucane’s widow, Geraldine underscored that her family would not accept any attempt by the government to withhold evidence from an inquiry into her husband’s murder. Mr Finucane was shot dead in front of his family in a killing claimed at the time by loyalists. However allegations of security force collusion surfaced soon after and a series of investigations over the years have attached substantial credibility to those suggestions. In 2003 Britian’s most senior policeman, Sir John Stevens, concluded that police could have prevented Mr Finucane’s murder but failed to act. A year later retired Canadian judge Peter Cory said he had found enough evidence of collusion in the Finucane murder to warrant a public inquiry. However for the last seven years the British government has failed to establish an inquiry into the murder. And over the past 12 months the Secretary of State Owen Paterson has put off a decision on the subject. “My family and I have been invited to Downing Street to discuss the current position of the British government regarding the public inquiry into the murder of my husband, Pat Finucane. “It is expected that we will be told what the decision of the government is with regard to the holding of an inquiry. In April 2004 then Secretary of State Paul Murphy gave a commitment that the British government would hold an inquiry into allegations of security force collusion in Mr Finucane’s murder. The Finucane family say they were informed by then Prime Minister Tony Blair in late 2004 that the government intended to introduce new legislation to allow for an inquiry into the solicitor’s death. The family say the prime minister asked for them to personally trust him that the legislation would speed the establishment of an inquiry. However when the 2005 Inquiries Act came into law it emerged that it gave the government the power to withhold evidence from any inquiry. The Finucane family subsequently refused to co-operate with any inquiry set up under the Act. “My family and I have campaigned for a long time for a public inquiry. “However, we are not prepared to settle for just any form of inquiry. “How the process operates is just as important as the establishment of one. “An inquiry that is not public, effective, independent or fully prepared to allow my family to participate to the maximum extent is not an inquiry worth having. 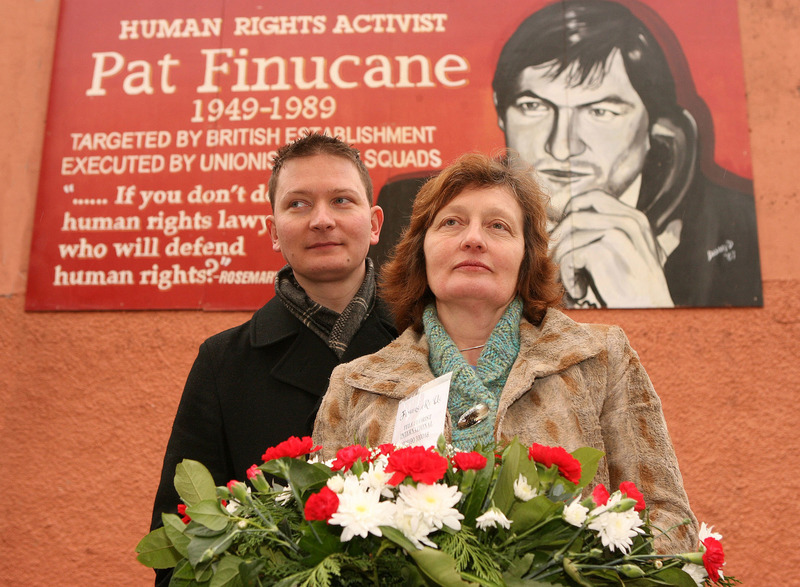 “My family have been campaigning for nearly 23 years for an independent public judicial inquiry into Pat’s murder. “I believe that it is a mistake to ignore cases of serious concern just because they are in the past. “I believe the only way our society can move forward into a peaceful future is by examining the controversies of our past and exposing them fully for all to see. “I believe this creates foundations of confidence, upon which a lasting peace can be built. It is speculated that the Prime Minister may be preparing to offer a concession to the Finucane family: an inquiry similar to the Baha Mousa inquiry, which concluded in London last month. The Baha Mousa Inquiry was established with a promise from the government that it would not withhold evidence from the hearings, which looked into the death of Iraqi hotel receptionist while in the custody of the British Army in Basra, Iraq, in 2003. The inquiry, chaired by Sir William Gage, was widely praised for the quality of its investigation which reached conclusions highly critical of the British Army and MoD policy in Iraq. 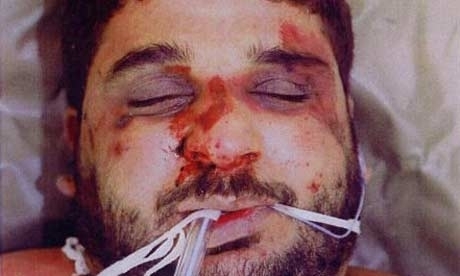 Baha Mousa died after he was arrested along with nine other Iraqi civilians when British soldiers raided the Haitham Hotel in Basra where he worked as a receptionist in September 2003. He was taken to an army camp where the inquiry found he was hooded for 24 hours and subjected to severe beatings. The inquiry concluded that Mr Mousa’s death was caused by a combination of his weakened physical state and a final bout of abuse. Corporal Donald Payne had violently assaulted Mr Mousa in the minutes before he died, punching and possibly kicking him, and using a dangerous restraint method, the inquiry found. While this was a “contributory cause” in the death, Mr Mousa had already been weakened by factors including lack of food and water, heat, exhaustion, fear, previous injuries and the hooding and stress positions used by British troops.